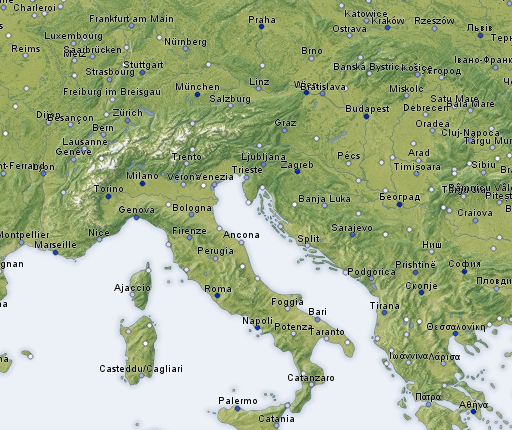 Of course some of them have only very few places shown while others are densely covered with labels. 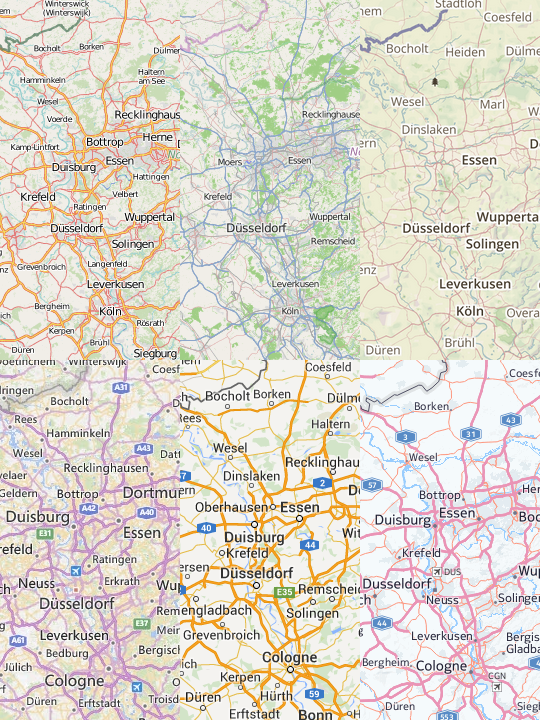 Curiously though the one with the least labels (the OSM standard style in the top center) shows a city (Moers) that is not shown on any of the other maps. Also otherwise it seems clear that the differences between these maps in this area can hardly be explained by differences and inaccuracies in the data basis. The short explanation is that often which places are shown and which not is at least partly a matter of chance – or more precisely – not a conscious decision of the map designers based on the data. For a longer explanation and an introduction into techniques to make a better selection of places to show on a map read my newest text on populated places in OpenStreetMap.